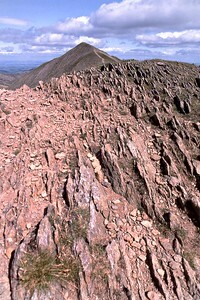 35 tops in all. 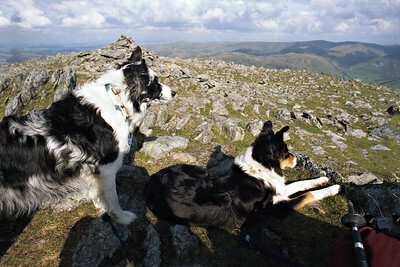 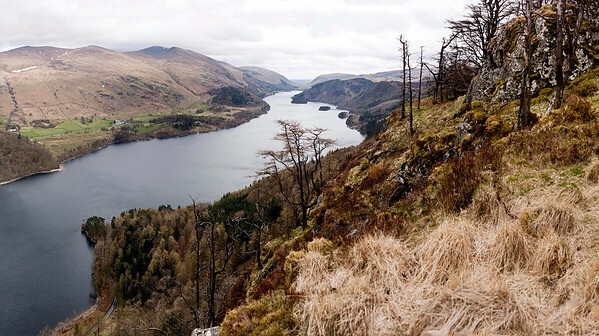 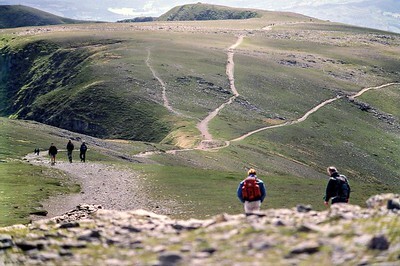 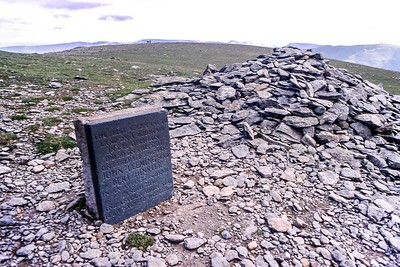 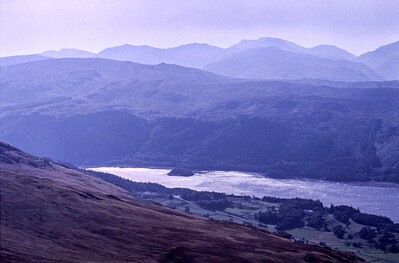 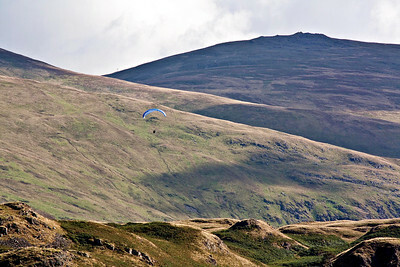 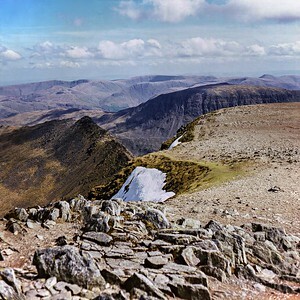 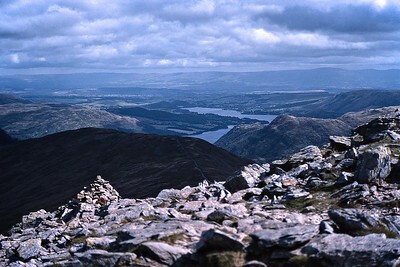 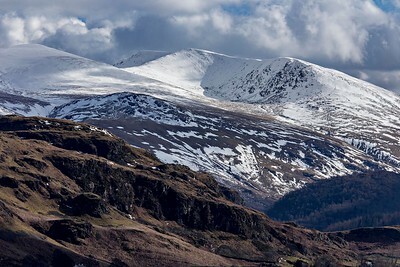 Primarily consisting of the north-south ridge running between Ullswater and Thirlmere. 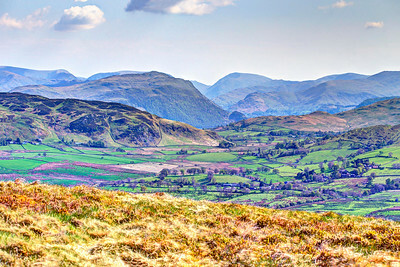 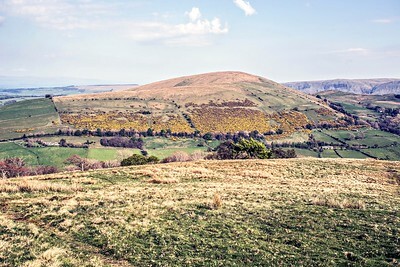 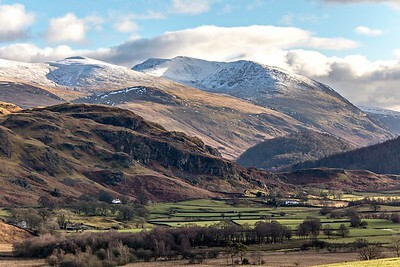 From the Mell Fells, Clough Head and the Dodds to Helvellyn; St Sunday Crag, Seat Sandal & Fairfield; Dove Crag to Red Screes: Kirkstone Pass and Ullswater separating them from the Far Eastern Fells. 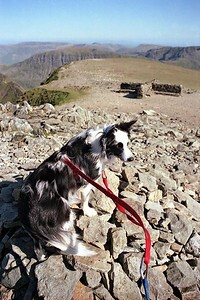 ref: 100908G27 On the col at 574m after the ascent from Dunmail Raise. 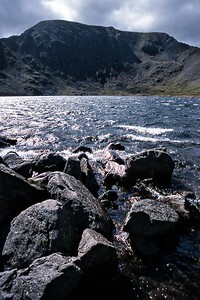 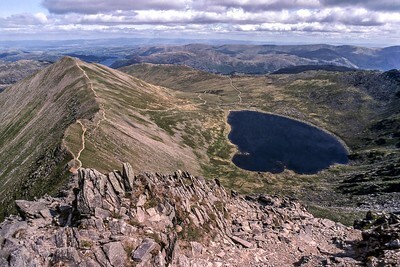 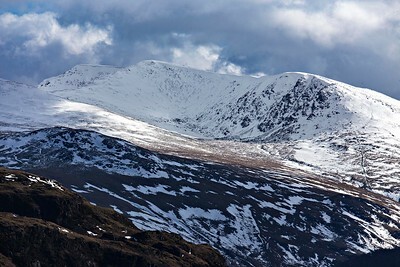 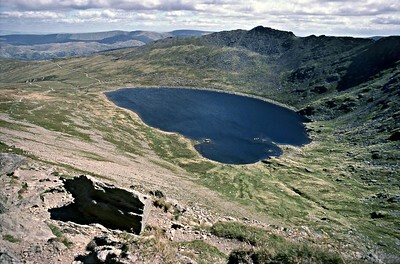 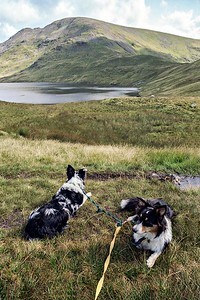 Fairfield (873m/2864ft) and (left) Cofa Pike on the far side of the tarn . 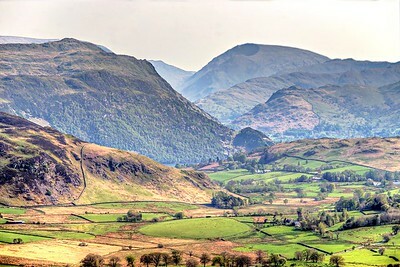 Grisedale Hause at right. 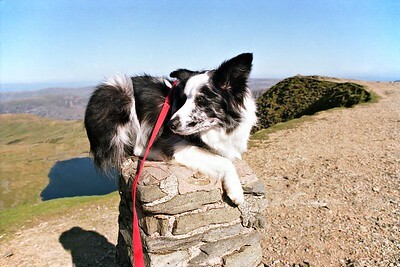 Cassie set on sheep!